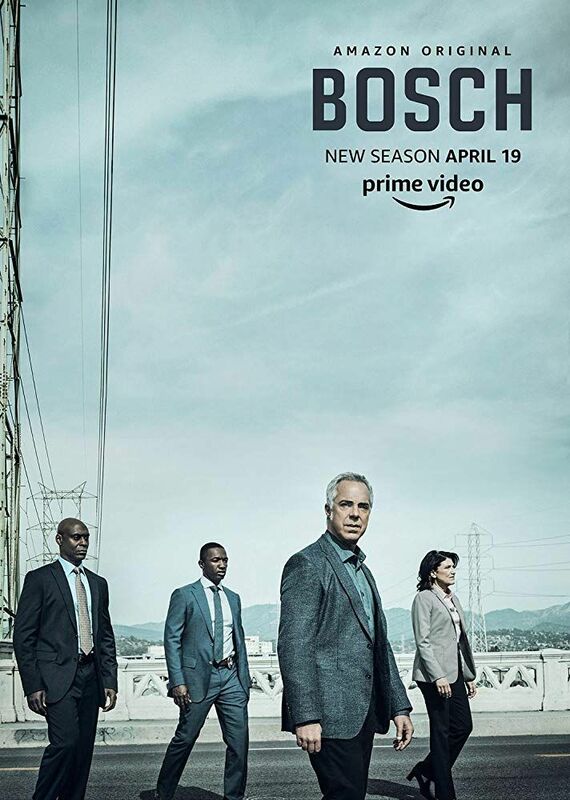 Amazon Prime put up the fifth season of Bosch last Friday, and I've got to say, though I really enjoyed all the prior seasons, this one was the best (I've said this after every season). It has more of Bosch's customary panache, with the punch-in-the-face surprises, top-notch acting, and well-drawn nexus of plots we've come to expect from this drama. At this point, it's not only the best cop show on television - in Los Angeles terrain that surpasses the many excellent homicide-cop shows that take place in NYC and Chicago - but must be counted among the best cop shows ever on television (I think I said this after most of the seasons, too). The repartee is sharp as ever, laugh-out-loud funny, profound when need be, and cutting-edge current, as always. A female detective says she's "polyamorous". Back in the office, an old-salt high-ranking officer complains about the lousy coffee, "you might as well drink straight stomach acid, cut out the middleman". Harry asks Maddie if she remembers the MLK quote from her senior high school year, "the arc of the moral universe ..." Earlier, she advises Harry to "watch your six with her". Getting back to the locale, Bosch always captured the unique Los Angeles mix of stunning beauty and rotting degradation. Bosch's apartment is high up and indeed has a "killer view," as Maddie says. But his job takes him through the dregs of society. There are never any outright happy endings in Bosch - we have to be happy that at least he survived - but this one really goes to the dog(s). If that's not clear, give yourself a treat and see season 5, after you've seen the previous four. There's always been a tension between the CIA and the FBI on The Enemy Within, to say the least, but it was drawn much more sharply in last night's episode 1.9. Unsurprisingly, the FBI knew and did what was best. Of interest, though, was how incompetent the CIA seemed. They not only were behind the ball most of the time. They were stubborn, and repeatedly jeopardized the mission. I usually prefer more subtle distinctions, but 1.9 was a pretty strong episode anyway. Shepherd, of course, is (former) CIA, now working, in chains, for the FBI. Come to think of it, there's not much subtle about that, though there's plenty of complexity, and secrets within secrets. For the past few episodes, The Enemy Within has gone out of its way to show us that Shepherd is actually working with Tal. But I don't believe it. I mean, she's working with him, sure. But the question is for what purpose. I'm thinking she's connecting with Tal as the most effective way of getting to him, so she can kill him. 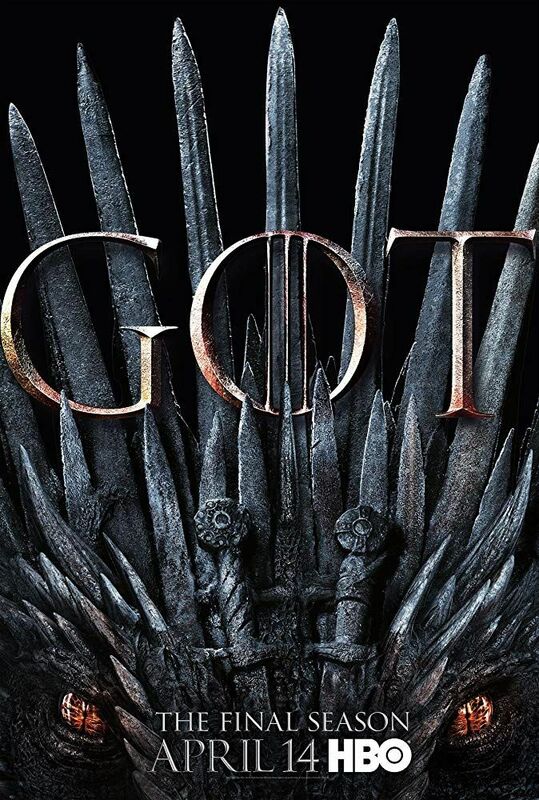 With just a few episodes left this season, I'm guessing we won't see that this year. Instead, I expect the season will conclude with Shepherd appearing to escape and joining forces with Tal. Will Will Keaton be aware that Shepherd is working with Tal to take Tal out? I hope so. Keaton's come a long way in understanding what makes Shepherd tick. But he's not there yet. And, who knows, I could be wrong about this theory. At very least, I hope The Enemy Within is renewed, so I can see if I am right. Well, the best scene in Killing Eve 2.3 is clearly Eve putting on the lipstick Villanelle slipped her, finding it has a blade when it cuts her lip, and, rather than recoiling in horror, brushes the blood across her lip so it mixes with the lipstick. That scene about the mouth says it all. Villanelle loves Eve, this we already know. It's the weakness that makes Eve so dangerous to Villanelle, who is the superior agent, or at least a more cunning killing machine, sharp as Eve is. But Villanelle's attraction to Eve mades Villanelle vulnerable, and, as we've already seen, it was almost a fatal attraction - fatal to Villanelle. But Eve is deeply attracted to Villanelle, also. If not precisely in the same way, something that both helps Eve understand Villanelle, but makes Eve more vulnerable, too. The question for both of them, as they hunt and crave each other, is which impulse will prevail. Libido or thanatos? It's good to see Konstantin back in action. He's an excellent counterpart to Carolyn. And, in many ways, more of an asset to Villanelle than Carolyn is to Eve. The essence of this story, indeed, is (or are) counterparts. They might have even entitled this series Counterpart, had there not already been a series by that name, which, alas, was cancelled, but I'm still hoping comes back on some other network, wiser than Starz. 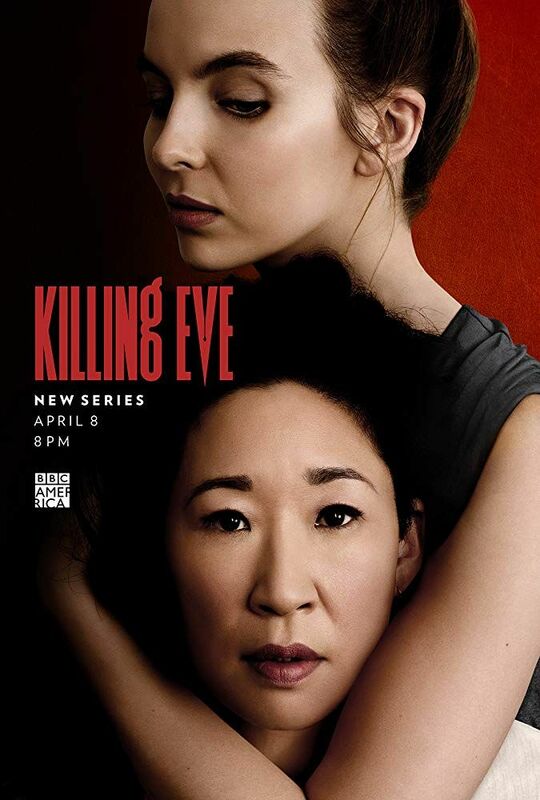 But back to Killing Eve, as exciting and daring as the first season was, I'm beginning to like this second even more. It has all the style and quirky texture of the first season, with symbolism simmering perfectly under the surface. First, at the beginning, when Jamie refuses to apologize for what he did to everyone, including Bran, and Brienne comes to his defense. And then, a little later, when Jamie apologizes to Bran, and Bran explains he is no longer Bran, but something else, a living keeper of all memories and human history. Apologies are obsolete with the Night King and his dead forces approaching. But memories are everything. Bran understands this - as does Sam - so Bran offers himself as bait to draw out the Night King. As Sam explains so well, death is absolute forgetting on the part of the individual who has died. Therefore, the Night King, in his quest to destroy humanity, needs to destroy the keeper of all human memories - Bran. Just as the Nazis burned books, and millennia earlier, retrograde forces burned the ancient Library of Alexandria. This is the essence of the Night King's quest. But though almost all the humans defending Winterfell and thus humanity - and an impressive force they are, including the newly knighted Brienne, and Arya being with a man for the first time, in two other great scenes - expect to die in the upcoming battle, I'm with Tyrion in being something of an optimism. Certainly not all of the heroes, male and female, will die. Is it too much to ask that it be none of them? One quibble (as always): why was there no discussion of the dragons in the approaching battle? We saw the two surviving dragons last week, right? Where are they now? And, where exactly is the dragon who is now with the dead? I've said many times in my many places that time travel is my favorite genre of science fiction. The best episodes of Star Trek TOS and TNG were time travel stories - "City on the Edge of Forever" in TOS, "Yesterday's Enterprise" in TNG. So I was expecting that sooner or later The Orville would check in with a time travel story - if not quite as superb as the TOS and TNG stories, right up there in excellence, anyway. It did so tonight. 1. Kelly, seven years younger, arrives on The Orville, after some quantum force or whatever amplifies the power of a nascent time-travel device. On the deck, the main characters discuss how that could be - wouldn't current Kelly remember that her younger self appeared on The Orville? Everyone agrees that the answer to this paradox is the multiple worlds hypothesis - a new reality in which young Kelly appeared, right next to older Kelly and older Ed, was created at the instant young Kelly traveled to the future. That new reality is separate from the original reality in which we have been watching The Orville. Good for The Orville for (a) recognizing the paradox (not every time travel story does), and (b) coming up with the best solution (multiple worlds). 2. Isaac et al figure out a way to send young Kelly back to her time (after some fun romantic interludes with Ed, and some soul searching conversations with her older self). But ... if young Kelly successfully returns to her past, which would be the same as the past she left, how come older Kelly has no memory of her time as her younger self in the future? Claire can give her a memory wipe. Another good solution to a temporal problem, and I liked the deft way the metaphysics switched from multiple realities to time travel in a single reality frame. 3. Young Kelly gets back to her past, but when young Ed calls her the next day, she tells him that they shouldn't see each other. Nice touch! The memory wipe may have erased the memories but not the visceral feelings Kelly brought back with her from the future. Of course, the two will have to get together sooner or later, otherwise the stories we've been seeing on The Orville the past two seasons would be completely undermined. My guess is young Ed will be persistent and young Kelly will choose him over her misgivings from the future. And there could be an implicit part 4 to this, as well. The experience tonight will get older Kelly and older Ed to get back together in the future. Or - maybe they'll read this and decide not to, because they don't want their future prescribed by some blog review. Either way, tonight and its aftermath will make for a great story (and continued fine acting by Adrianne Palicki and Seth MacFarlane). An excellent episode 1.8 of The Enemy Within tonight, which via flashback provides a big missing piece of what happened three years ago to Shepherd, which resulted in her betraying Laine and three other CIA agents to the notorious Tal. We already knew it was to protect her daughter. Her blurting out the names of the four-member CIA names to Tal, as he was counting down to when he would kill Shepherd's daughter Hannah, makes perfect sense. What doesn't make as much sense is why she didn't try to warn all four of them a little sooner - or why, after issuing the order for all four to abandon their current positions, she didn't follow through a little sooner with Laine. I know, she had to confirm that her daughter was safe at home, but it isn't quite believable that a leader as effective as Shepherd would be so rattled that she couldn't have multi-tasked a little more. On the other hand, it does make sense that once she was in the mode of protecting her daughter, Shepherd's other instincts were blocked. Which brings us to the present. We saw her talking to Tal in the present, last week, and again tonight. But I don't think she's working for him. I think she's playing a long game of working for Tal with the goal of his somehow getting her out of prison - as she tells him tonight - with the goal of killing him once she's out. By the way, it's good to see Lev Gorn from The Americans in action as Tal in The Enemy. Not only is my oldest nickname Lev, but Gorn is a convincing actor. He was a way of conveying a humanistic impulse, which is especially vexing when it's packaging the persona of a character who's a stone cold killer. At this point, I'd say that The Enemy Within is the best espionage series that's come along on old-fashioned network TV in a while. See you here next week.